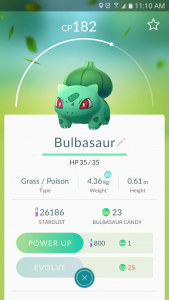 Having played so much Pokemon Go this past week, let’s go over how to get some of your Pokemon to higher CP! CP stands for combat power. When you start out, most of the pokemon you encounter will have low combat power. As your trainer level goes higher, you will encounter stronger pokemon with higher CP. You will see the CP of the pokemon everytime you are trying to catch one. Also keep in mind that the higher their CP, the harder it is for you to catch. When you try to throw the Pokeball on higher CP pokemon, their inner circle will also be smaller. You can also check your pokemon’s CP by going to the status screen. Don’t groan if you see 5 weedles in a row! You have to catch them all! You do get 3 candies of that pokemon plus its evolution forms that you catch. So if you catch a Kakuna or Beedrill, it is even better. You also get one extra candy when you transfer the pokemon to Professor Willow. Always level up and evolve your pokemon, but only focus on 3 pokemon. I try to keep about 25k stardust in the bank so when I encounter stronger starting CP pokemon, I can level them quick. 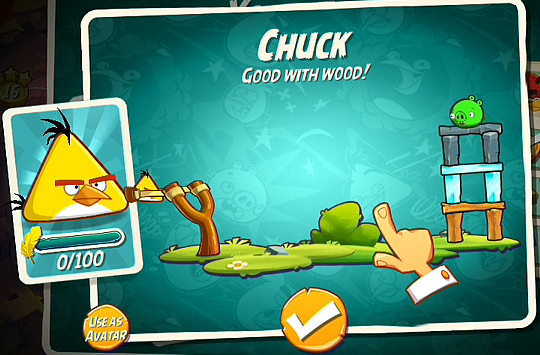 You can also opt to play the long game and just try and beat various trainers around your area. This will make you have a better team, and in turn, more CP! As a general rule of thumb, level up and spend stardust on your red pokemon. When choosing to evolve a Pokemon, make sure to pick the one with the highest CP to maximize CP potential. Since everyone is always getting stronger, I suggest you transfer all your pokemon that are not in the top 3 in terms of CP. Generally, I tend to keep 3 of each pokemon. For example, I try to keep 3 weedles, 3 kakunas, 3 rattata etc. Unless you like any of the pokemon and want to evolve them to become your main combat pokemon, I recommend you transfer them for an extra candy. Try to take down an enemy gym as you get 5 times more XP compared to training at a friendly gym. More XP = higher chance to meet higher CP pokemon. Do the following more often to gain more XP! Below is the experience requirements to leveling up. The benefits for leveling up is great and you want to get as high as you can! you should mention in here that weight class makes a difference when maxing out a pokemon’s power level bar.